What is Access Control? At the most basic level, Access Control is simply the term given to controlling who has access to your premises, whether that's your home, office, workshop, school and so on. However, these days Access Control is more generally understood to mean the systems and devices used, above and beyond a standard key operated lock, to restrict and or monitor access into and out of a building. Whether you require a standalone solution for a single door entry point, or need a more comprehensive system that will control several doors and support a large number of users, there will be a need to build up your access control solution using a number of different parts. The main items you will need are: a control unit, a 'reader' (this might be something that a user enters a PIN code into, or presents a card/fob to), an electric lock or strike release and a power supply. Depending on the specific security requirements for your premises, you may also need items like a push to exit button or a second reader meaning that both sides of the door are controlled. Of course, which ever type of reader you select (be it a card reader, fob reader, remote receiver etc), you will then also need to consider the user credentials such as cards, fobs or remotes that will be used to gain access through the doors. Here at LocksOnline we offer a large selection of electronic key pads, combination locks, card access systems, door entry systems, intercom systems and accessories enabling you to design, build and install the right access control system for your needs. 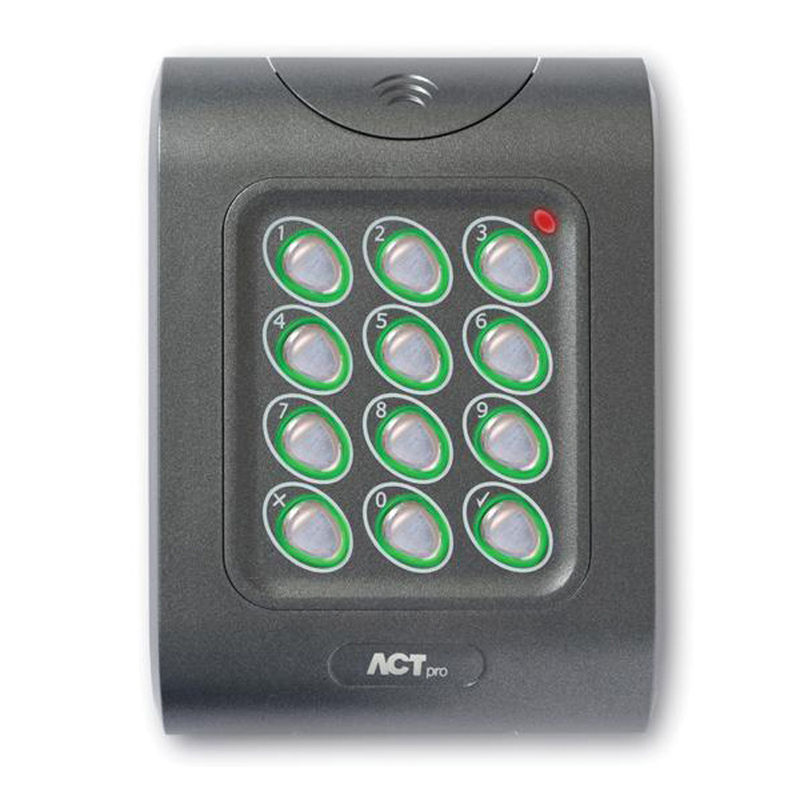 If you're looking to replace a component of your existing Access Control system, we can help. 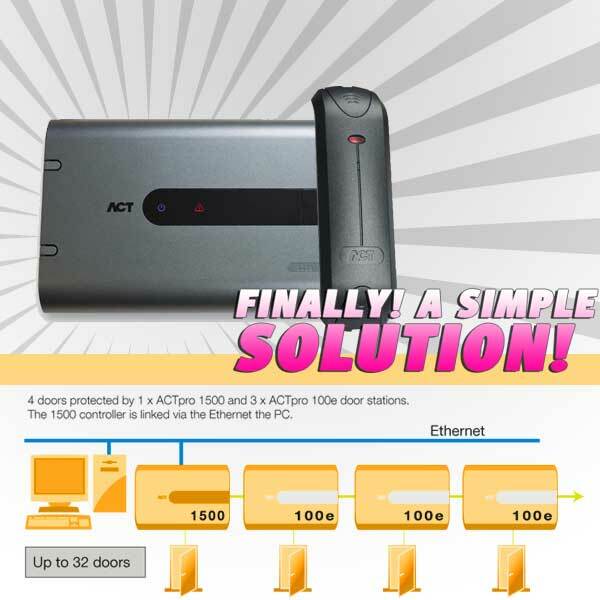 Maybe you need some additional proximity cards or fobs for use with you electronic access control system. We've got those! Perhaps you're creating a new Access Control system - our access control specialist Darrel can help you determine what will work best for your premises, wherever you may be! All of this is available from LocksOnline, your premier security solution supplier. If you're looking for some specific advice and guidance regarding Access Control, get in touch with us via Live Chat, phone or email. These systems are commonly referred to as front door intercom systems, front door buzzer systems as well as voice/video doorbell systems, but whatever we all wish to call them, these door entry systems are ideal for blocks of flats or apartments as they allow visitors to buzz in to the occupant of the apartment number they are visiting and the occu.. If you've got a faulty handset for your front door entry system which needs replacing, then you've come to the right place. The whole idea of a door phone system is to allow you to speak to visitors at the door before buzzing them in, so when your handset fails, the system becomes useless - but replacing the whole system is usually not ..
GSM Intercom systems are the best solution to long-range wireless intercoms. Unlike a typical wireless intercom which use much weaker radio-frequency signals, these GSM intercoms use the mobile network via a SIM card, just like your mobile phone, to allow for an unlimited wireless range! What's more, because these door entry systems are not r.. Need access control on your uPVC door? Or want to automate you multipoint locking door? For years the concept of fitting keypads, proximity, biometric and intercom entry systems to work with upvc doors has seemed impossible - but that's history! We have come up with a range of electrically operated locks that can work on UPVC, composite and wooden ..
Open your door with your mobile phone! At last, it has been a long time coming for the access control market. 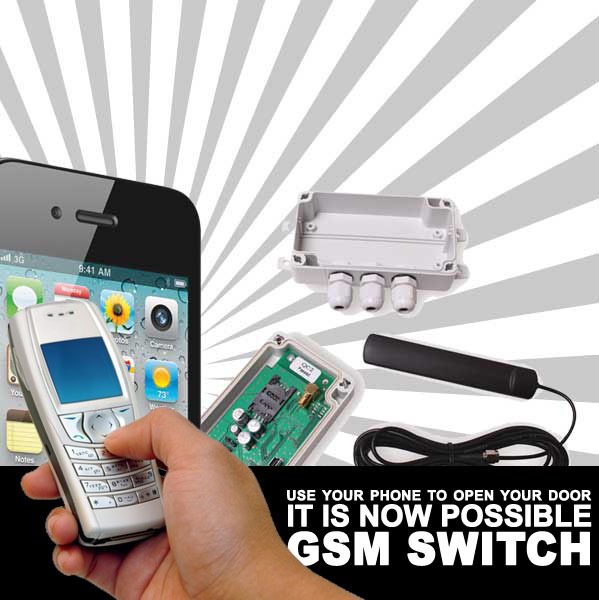 But you can now open your front door with the new GSM-Switch technology that is now available with us at LocksOnline. Superior over Stand alone systems in a few areas. The PC Based systems allow user tracking, easy user enroll and deletion, can track door usage and create audit trial! If you are looking to track who is using the door and when.